We show that the distributions occurring in the geometric and spectral side of the twisted Arthur–Selberg trace formula extend to non-compactly supported test functions. The geometric assertion is modulo a hypothesis on root systems proven when the group is split. The result extends the work of Finis–Lapid (and Müller, spectral side) to the twisted setting. We use the absolute convergence to give a geometric interpretation of sums of residues of certain Rankin–Selberg L-functions. The author would like to thank his advisor Prof. Freydoon Shahidi for everything, and more. He also thanks J. Getz, E. Lapid, D.B. McReynolds, N. Miller, C.-P. Mok, P. Solapurkar and S. Yasuda for useful discussions and encouragement. 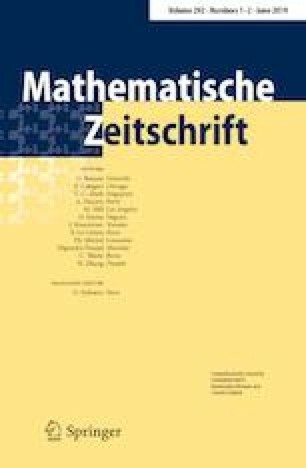 The proof of Lemma 6.2 is due to P. Majer via Mathoverflow. The application was suggested by J. Getz and we thank him also for insightful discussions. We thank the anonymous referee and the editor for their useful comments. The author was supported by National Science Foundation Grant DMS-1162299 through Prof. Shahidi.